The Mekong River is the lifeblood of Southeast Asia and offers a glimpse into the long history and diverse cultures of the region. 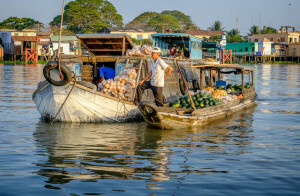 This leisurely 6-day Mekong delta river cruise from Saigon to the riverside capital of Phnom Penh explores the colorful world of lives lived on the water, from floating markets and stilted houses to the captivating cultures and cottage industries that have evolved on the river’s shores. Its colourful floating market, vast emerald rice fields and lush back waterways; these are the things that make Cai Be such a desired destination. 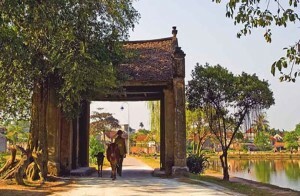 This morning, leave bustling Ho Chi Minh for the 2-hour drive to the delta town of Cai Be. On arrival, board a boat for a cruise in the Delta’s waterways. Start the journey by passing Cai Be’s floating market, once a busy place to trade fruits and vegetables, nowadays it’s a relatively peaceful market. Then, continue to a cottage factory where ‘pop-rice’, rice paper and coconut candies are made. Return to the boat for the cruise to Dong Hoa Hiep Island; along the way admire the scenery and the daily life of the local villagers. Lunch will be local Mekong-style specialties of the area. 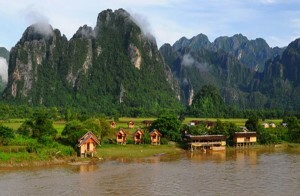 Following the cruise, drive in the late afternoon to Can Tho and spend the night. Wake up early for a breakfast cruise to the colourful Cai Rang Floating Market which bustles with wholesalers on big boats. Here, during the early morning market hours, large boats anchor and create lanes that smaller boats weave in and out of. The main items sold here are fruit and vegetables, and every boat has a long upright pole at its bow from which samples of the goods for sale are hung. The waterway becomes a maze of hundreds of boats packed with mango, bananas, papaya, pineapple, and even floating pho vendors. 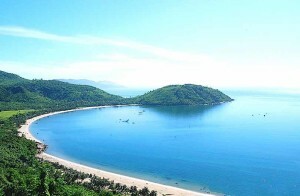 Following the visit to Cai Rang and Can Tho, depart for the 3-hour drive to Chau Doc. En route, have a chance to stop at the bamboo basket-making hamlet of Long Thanh. The rest of the evening at leisure. After breakfast visit Chau Doc’s local market which overlooks the confluence of three rivers, and later take a boat to Chau Giang District where a tiny mosque serves the local Cham community. The Cham minority, who dominated coastal Vietnam from the 2nd to the 9th centuries, were originally Hindu, but became Muslim as a result of contact with Arab seafarers and merchants in the Middle Ages. In Southeast Asia, Islam was disseminated primarily by merchants who, following the monsoon winds, lived in various coastal towns for months at a time. The Chams also practice silk weaving and there may be an opportunity to see them at work. The architecture here is rather distinctive. Visit a beautiful Khmer temple and, later, visit the floating houses that double as catfish farms, which are a huge industry for the country. Late in the afternoon, visit Sam Mountain, an important pilgrimage site that is frequently visited by pilgrims from all over the Mekong Delta. There are dozens of pagodas and temples around Sam Mountain, and reaching the peak is the highlight of the visit. The views from the top are spectacular. Weather permitting, you can easily look out over Cambodia. Depart early in the morning for a 4-hour boat ride to Phnom Penh. It’s an hour to the border. 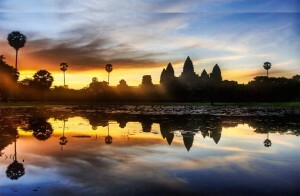 After clearing immigration and completing visa formalities, continue on into Cambodia. Upon arrival in Phnom Penh, be welcomed by the local guide and be accompanied to the hotel for check in. Phnom Penh was once considered as one of the most beautiful cities in the Orient and, despite its recent turbulent history, it still retains a colonial charm. Cambodia’s capital is a bustling city, majestically located at the confluence of the mighty rivers of the Mekong and Tonlé Sap. Wide tree-lined boulevards and many colonial-era buildings reflect the glorious days and add to the allure of the city, where Asian and Western traditions meet in a fascinating way. After a relaxing break, be greeted by a driver and head on a tour to the most remarkable sights of Phnom Penh in a cyclo, an original Phnom Penh means of transportation and a fun way to explore this lively city. First, head to Wat Phnom Temple, the founding place of the city on a small hilltop. Then continue along the riverfront to the Royal Palace. This palace dates back to 1866 and houses the Silver Pagoda, named for the over 5,000 heavy silver tiles that cover its floors. Its original name is Wat Prakeo, meaning Temple of the Emerald Buddha. In this temple,l view a collection of Buddhas in gold, silver, crystal, and bronze. The next stop is the National Museum, built in traditional Khmer style. 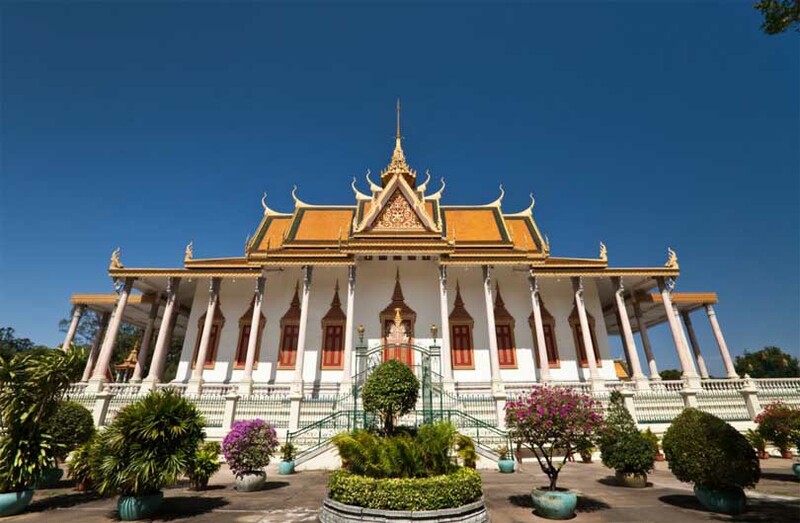 It houses the world’s foremost collection of ancient Khmer artistic, archaeological, and religious artifacts from the 4th to the 13th centuries. Over 5,000 pieces are on display, constituting a repository of the Kingdom’s cultural wealth. In addition, the roof space is home to a large bat colony! Late in the afternoon, enjoy an atmospheric sunset river cruise and watch how Phnom Penh’s popular riverfront comes to life in the early evening. Enjoy fresh coconut juice onboard. 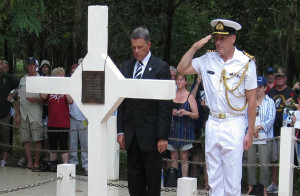 This morning, gain insight into Cambodia’s recent dark history on a visit to the remarkable Tuol Sleng Genocide Museum, housed in the former school that was taken over by the Khmer Rouge and used as its main detention and torture centre named ‘S-21’. Spend the rest of the morning browsing through the colourful markets of Phnom Penh. Visit the Russian Market, the best place in the city for wood and stone carvings, jewellery, clothes and Cambodian silk souvenirs. Enjoy lunch at Veayo Tonle, located by the Russian market, Veayo Tonle café is one of the new socially and ethically responsible eateries and boutiques popping up in the city. They operate a ‘zero waste policy’ for both their café and clothing, with their restaurant bringing traditional family recipes in a whole new light, using only the freshest local and organic vegetables, top quality meats and unique spices direct from the Cambodian countryside. The rest of the afternoon is free to spend at leisure. Enjoy the day at leisure. Transfer to the airport for an individual departure flight.